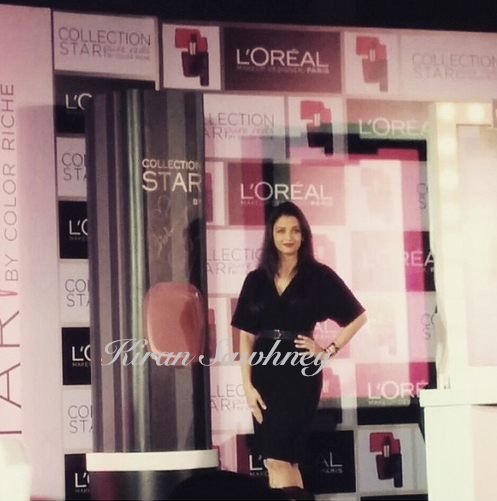 Aishwarya was promoting the newest range of lip color for L'Oreal today. 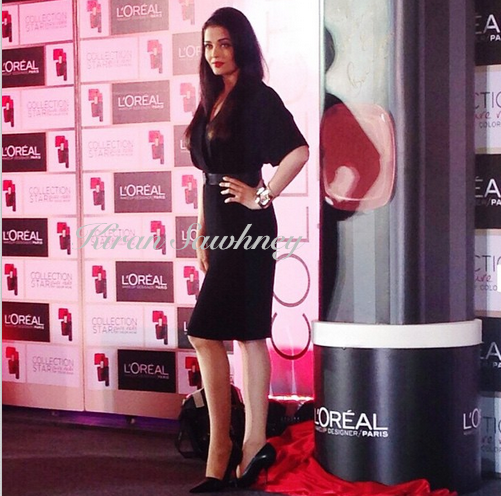 She wore a black belted dress by Burberry and accessorized it with gold accessories. She added a Fendi cuff and finished off with black Dior pumps. 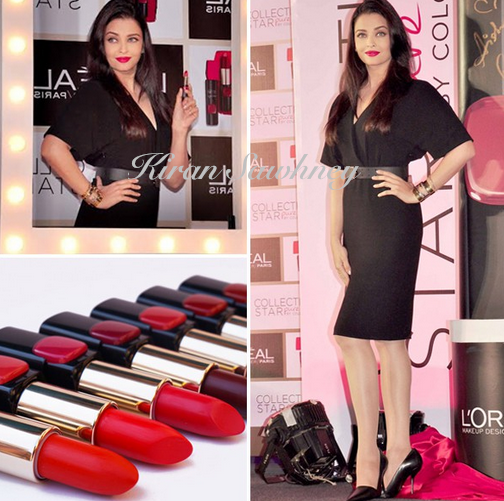 The black outfit was highlighted with L'Oreal red lipstick. It is a super chic and classic look.